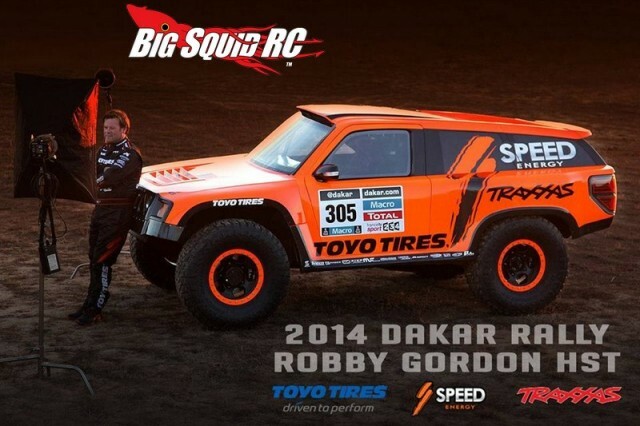 Robby Gordon’s 2014 Dakar Rally HST « Big Squid RC – RC Car and Truck News, Reviews, Videos, and More! With the kick off of the 2014 Dakar Rally just 2 days away, there are a lot of wrenches spinning down in South America getting ready for one of the toughest races on Earth. One of the coolest trucks entered this year is from Robby Gordon. His bright orange Speed Energy, Toyo Tires, Traxxas backed truck looks trick and ready for some hard miles down south. Gordon’s HST sports a new body design this year, which we think would like mighty good mounted up on an rc vehicle. For more information on everything Robby Gordon hit up his website, Planet Robby. To learn more about the 2014 Dakar Rally, check out This Link. It’s our favorite day of the week, Friday! Check out THIS BigSquidRC TGIF Mystery Link.